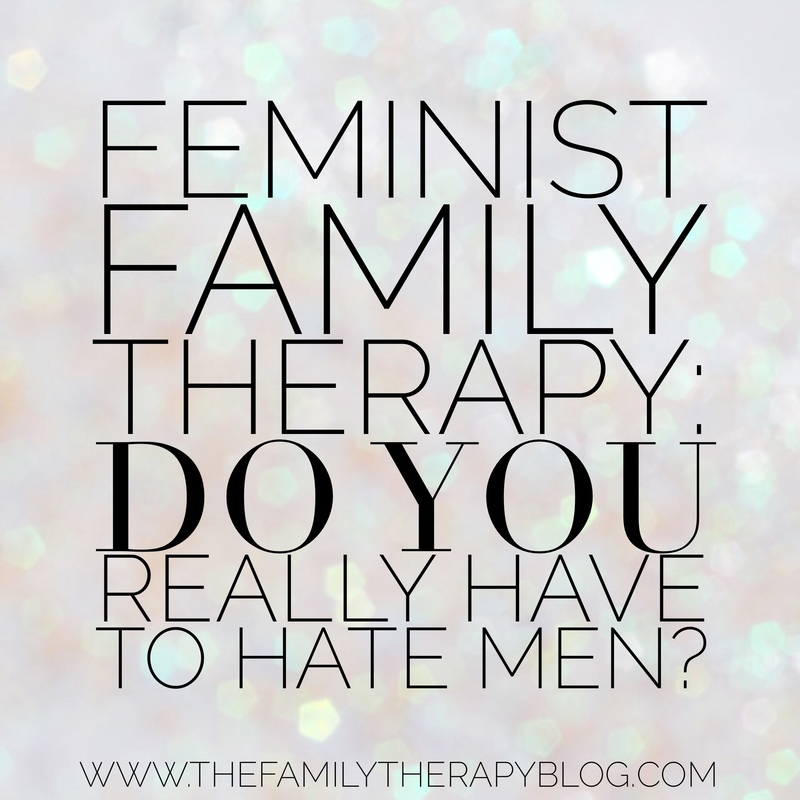 Home » Counseling Theory » Feminist Family Therapy (Part 1): Do You Really Have to Hate Men? 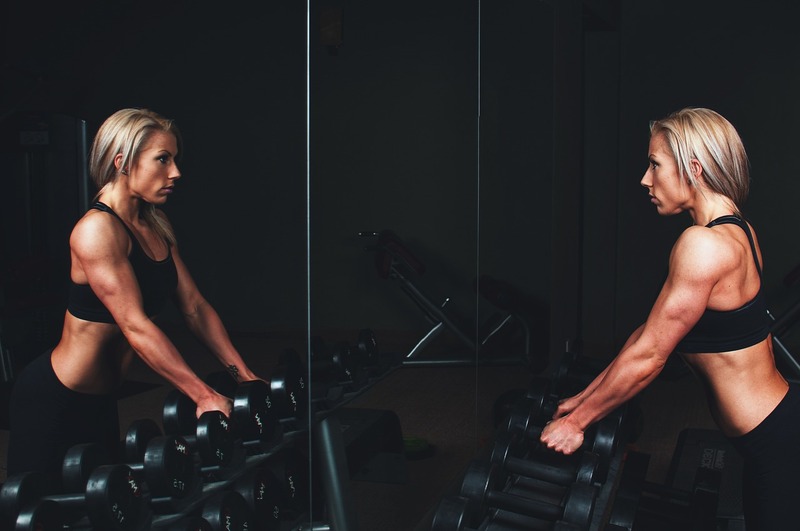 Feminist Family Therapy (Part 1): Do You Really Have to Hate Men? When people (and this used to be me) hear the word feminism, many just cringe inside. We associate it with angry man hating terminally single ladies who live alone with a herd of cats. Well, I would like to explain why I consider myself to be a feminist. I do not think women are better than men (or vice versa). To me, both genders are different but of equal value. When I use the term feminist, this is what I am talking about. During my PhD studies, I knew next to nothing about Feminist Family Therapy, so I chose to do some research on this topic. Here is what I learned, and I may or may not agree with everything I found in the research. According to some researchers, “Feminism may be understood as theory—systems of concepts, propositions and analysis that describe and explain women’s situations and experiences and support recommendations about how to improve them” (Code, 2002, p. 195). Feminist theory is also described as “a framework from which to discuss the directions and strategies that formulate our prefigurative practices in the multidisciplinary recovery of women’s experiences” (Malson, O’Barr, Westphal-Wihl, & Wyer, 1989, p. 12). Harding further stated, “Feminisms are totalizing theories. Because women and gender relations are everywhere, the subject matters of feminist theories are not containable within any single disciplinary framework or any set of them” (p. 19). Feminist theory is unique from other theories about women or gender because it gives credence to women’s perspectives and authority (Code, 2002). It also postulates the existence of power structures that privilege men. Code further stated that, “Feminism may also be understood as a kind of social movement, one that may generate and be aided by theory. Both are concerned with women’s flourishing—women controlling adequate resources, of all sorts, to live well” (p. 195). Osmond and Thorne (1993) purported, “Feminist theories ask us to step back and to rethink our assumptions, especially about issues of gender, power, and the very nature and boundaries of ‘family’” (p. 591). “Feminist theory began by trying to extend and reinterpret the categories of various theoretical discourses so that women’s activities and social relations could become analytically visible within the traditions of intellectual discourse” (Harding, 1989, p. 15). Prior to this evolution in thought, theory was essentially developed from the lives of men. Ironically, the concept of “theorizing itself is suspiciously patriarchal, for it assumes separations between the knower and then known, subject and object, and the possibility of some powerful transcendental, Archimedean standpoint from which nature and social life fall into their proper perspective” (p. 17). Feminist therapy is the integration of feminist theory principles and psychotherapy (Evans, Kincade, Marbley, & Seem, 2005). The theory, therapeutic techniques, and variety of applications of feminist therapy have all developed significantly since they began. It is important to understand the social and political contexts of the time to appreciate the therapeutic and philosophical stance of feminist therapy. According to Code (2002), “Feminist therapy originated in the late 1960s, inspired by the Women’s Liberation Movement and other progressive movements such as radical psychiatry, community psychology, and the mental patients’ rights movement” (p. 473). Code further stated, “In the 1970s, consciousness-raising was often regarded as a key therapeutic process; psychological androgyny—defined as a balance or integration of masculine and feminine qualities within an individual man or woman—was extolled as the standard of mental health” (p. 473). The 1980s brought the advancement of cultural feminism, and a focus on women’s relationality and connectedness. In addition to this, “In the 1990s, feminist innovators, especially those in couples/family therapy, drew on Foucauldian concepts of power and postmodern ideas of constructed realities; others focused on cultural, racial, and ethnic diversity in therapy” (Code, 2002, p. 472). In my next post, I will touch on the core assumptions of feminist theory and how it applies to Marriage and Family Therapy. To my other psychotherapy professionals, what gender issues do you encounter in your practice? Click here to continue reading. Code, L. (2002). Encyclopedia of Feminist Theories. London, New York: Routledge. Evans, K., Kincade, E., Marbley, A., & Seem, S. (2005). Feminism and feminist therapy: Lessons from the past and hopes for the future. Journal of Counseling & Development, 83(3), 269-277. Harding, S. (1989). The instability of the analytical categories of feminist theory. In M. Malson, J. O’Barr, S. Westphal-Wihl, & M. Wyer (Eds. ), Feminist theory in practice and process (pp. 15-34). Chicago: University of Chicago Press. Malson, M., O’Barr, J., Westphal-Wihl, S., & Wyer, M. (Eds.). (1989). Feminist theory in practice and process. Chicago: University of Chicago Press. Osmond, M., & Thorne, B. (1993). Feminist theories: The social construction of gender in families and society. In P. Boss, W. Doherty, R. LaRossa, W. Schumm, & S. Steinmetz (Eds. ), Sourcebook of family theories and methods: A contextual approach (pp. 591-623). New York: Plenum Press. *Courtney Stivers, PhD, earned her doctorate in Marriage and Family Therapy from the University of Louisiana at Monroe, and she is licensed as Marriage and Family Therapist and Professional Counselor in Arkansas. Additionally, she is an adjunct professor for Liberty University and Grand Canyon University. She has a passion for teaching family systems theory and professional issues.